A very proud moment – a moladi home was handed over to granny Mokhachane (83) during the Woman’s Day and Presidential Imbizo on Saturday, by President Thabo Mbeki accompanied by Eastern Cape Premier Ms Nosimo Balindlela and Minister Lindiwe Sisulu. Fantastic Nelson Mandela Bay Company Achieves Contract in Pakistan - Welcome to Nelson Mandela Bay.biz - Come Home to Port Elizabeth! A Nelson Mandela Bay company has just recently successfully signed a contract to make use of its technology to rebuild government buildings that were ravaged by a 2005 earthquake in Pakistan. 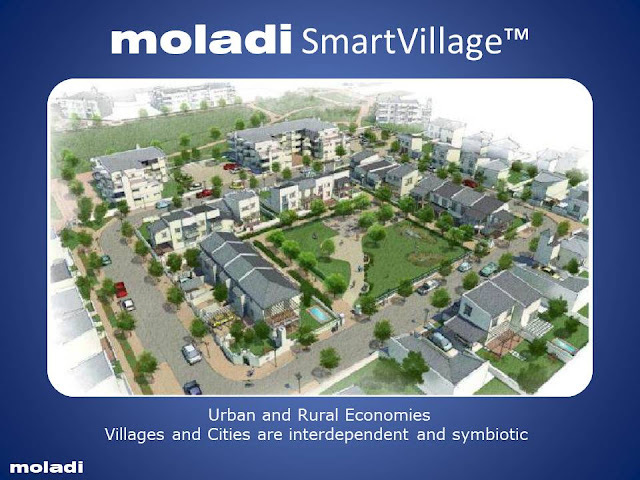 Moladi Technology boasts a rather unique home building technology and specialises in technology for “instant housing”. 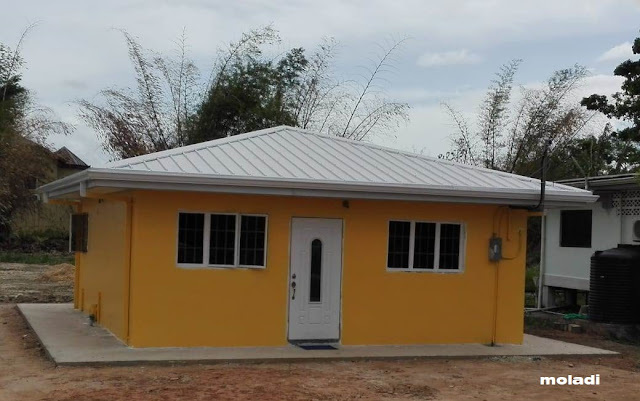 It is a Markman Township-based company which specializes in building moulds which allow a house to be built within a day. These moulds are sold to contractors. Once set up, the mortar is poured into the moulds and then removed, leaving behind a solid home. The home can be painted almost immediately and fitted for services such as electricity and plumbing. A deal was signed with Pakistan to rebuild 60 homes for the military as well as 2 schools and a few clinics, using this technology. Living up to its nickname 'The Friendly City', Port Elizabeth is making an elderly lady a very happy woman this National Women's Day by providing her with a house. The event will be attended by dignitaries Richard Dyantyi, the MEC for local government and housing, and president Thabo Mbeki. 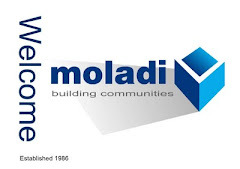 Moladi, an affordable housing construction company, in conjunction with the municipality of Aliwal North, have embarked on building a 40 sq m, two bedroom and one bathroom home for the elderly lady, who is confined to a wheelchair. Mr. Hennie Botes, CEO of Moladi, a South African based manufacturer and sole distributor of a multi award winning affordable housing technology to be used in the reconstruction of earthquake affected areas in Pakistan, met with the relevant government officials and organisation members in Islamabad this month to discuss the implementation of Moladi. ANNA Lekale has been waiting for a house for the past 10 years. But instead of the promised RDP house from the government, she, like thousands of other Kliptown residents, got pit toilets. Residents of the settlement took to the streets in protest against lack of service delivery in their area this week. Police fired rubber bullets ­into the crowd of protesters and scores were arrested. Not far from Lekale’s crumbling shack is the Walter Sisulu Square, previously known as Freedom Square. The square was built at a cost of about R160 million, yet people in the area still live in squalid conditions. Construction Industry: "The last two years have seen numbers of enthusiastic entrepreneurs moving into Cape property development - sometimes with very unfortunate results. 'There is all the difference in the world between a developer who has learned his business on-site, supervising work, and one who has acquired business knowledge but lacks the essential hands-on site experience.'" Construction Industry: "SOUTH AFRICA'S five-year residential property boom is seeing the prices of existing homes playing catch-up with newly built ones. In fact, the price gap between new and existing houses shrank to a negligible 1,5% in first quarter 2006, the lowest price differential in 16 years. " A PORT Elizabeth company with a unique home building technology has just signed a contract to use its technology to rebuild government buildings ravaged by a 2005 earthquake in Pakistan. 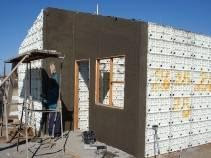 Moladi Technology – which specialises in technology for “instant housing” – is a Markman Township-based company that builds moulds which allow a house to be built within a day. Pretoria - The market for affordable housing has received a massive boost with the launch of the R1.8 billion Chief Albert Luthuli housing project on the East Rand, which will eventually provide 8 318 rental and subsidised housing units.The sod turning ceremony for the project, which is a result of the efforts of the national and Gauteng housing departments, the Ekurhuleni municipality and banking group Absa, took place at the weekend.